Does this say up the bum no babies? 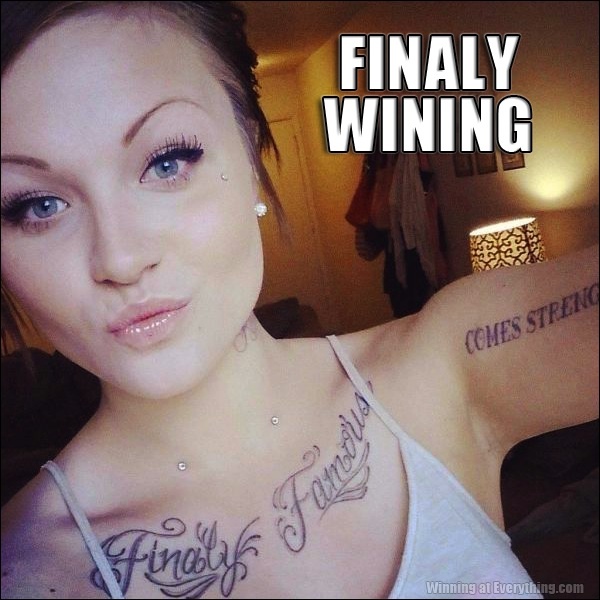 So, I’m a very poor speller which is only one of the reasons I do not have a word tattoo, but I read the tat on her left arm as “Comes Sterno” and I thought “That’s got to be uncomfortable and dangerous”. I would be happy to cover that typo with bone-yogurt.